We killed heroic G’huun first before the Christmas break and we repeated the fight again so all of our raiders, Champions, Heroes, and some Adventurers got their Ahead of the Curve achievement. Guild Mythic Dungeons Tournament is opening soon! Guild News Comments Off on Guild Mythic Dungeons Tournament is opening soon! Again the Prelude tradition is confirmed! At the last pull of the raiding night we killed the last boss in Uldir normal, G’huun. Well done guys & girls, well done! Now that we know the instance and the fights we’ll soon™ start heroic. Remember that in Battle for Azeroth we have new rules and our Heroes should meet some requirements to join the raids. Head to our forum or our Discord to check! Antorus the Burning Throne heroic: full clear! Guild News Comments Off on Antorus the Burning Throne heroic: full clear! In the best of Prelude traditions, at the last pull of the 1st of March raid we killed Argus in heroic mode. We then completed the full clear of heroic Antorus, the Burning Throne and we got our Ahead of the Curve achievement, new shiny mount included! This tier was fun, except the Coven of Shivarra encounter that caused many nights of frustration during the learning process. But we know that every expansion has its own hardest boss for our guild, and Legion was not exception. We always succeed anyway! Congratulations to our awesome raiders! On the 28th of September, we celebrated the full clear of Tomb of Sargeras heroic with the kill of Kil’jaeden. This was a hard one. But as usual, our raiders did not give up and did an amazing job of executing the Kil’jaeden encounter and getting the Ahead of the Curve achievement. Tomb of Sargeras was a strange raiding tier, with some bosses being quite hard while others were a little too easy, but it was a good raid. Check out our recruitment forum! In our catching up series it’s time to celebrate the full clear of Tomb of Sargeras normal. and now some relax near the fountain! Our raiders are awesome, as they are now working on Gul’dan heroic (more piccies about heroic Nighthold 9/10 in a future post), but they also like to play for fun! Prelude tradition of friday night runs with music and booze is well established, and socials and friends know they can join and be more than welcome! if you don’t see anything in the pictures, this is exactly the point! Spoiler: get some Inky Black Potion! Our warrior Aryla is the first in the guild to get the insanely hard scenario for the challenge Artifact look done. According to our data he could be even the first or second warrior on Dragonblight! In the realm top three for sure, anyway, so we are very very proud of him! Good job Aryla you are a gem of the warrior class and we /salute you. …and some guildies are just crazy cat ladies! Prelude tradition of battle pet collections started with our mage Sfendourax topping the realm rank for nearly two expansions. Check his interview here in the blog! 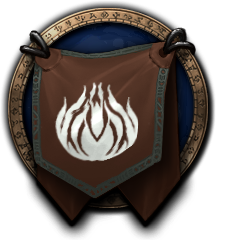 At the moment we have 5 guildies ranked in the realm top50, with Blindio (3rd priest) leading at 27th and Fleurexq (4th hunter) close second at 29th. It’s not a suprise to meet guildies when the weekly battle pet event happens, and it seems everybody likes the trick to level low pets with the Iron Starlette in Stormheim. Rumour has it somebody used nearly 1000 pet bandages between fights….